Gary Troester is an artist. Instead of using paintbrushes, chalk or acrylics, Troester uses glass eyeballs, thread and animal hides to create his masterpieces. Troester, a taxidermist and owner of All Seasons Taxidermy in Steamboat Springs, said convincing people that taxidermy is another form of art has always been one of his challenges. Troester spends hours and days mounting the elk, deer, fish, birds, mountain lions, antelope and bear that come through his door to ensure the animal looks as close to what it did in the wild, which should always be a taxidermist’s goal. “We really try to get an animal to look as close to nature as we can,” he said. Troester said hunters should know there are some taxidermists that work for quantity, not quality. That can leave the hunter with an animal he or she may not be proud to hang on a wall for 30 or 40 years. Finding a good taxidermist isn’t like going to the grocery store for a gallon of milk, where every store is going to carry the same milk, he said. Troester, an award-winning taxidermist, said he has been in the business for nearly 30 years, and first fell in love with the industry while he was a child. “I grew up in Iowa, so I always hunted and fished with my dad just as soon as I could walk. Then in high school, I figured (taxidermy) would be neat to do,” he said. While there are new seminars, videos and classes that aspiring taxidermists can take to learn and perfect their craft, Troester went about it a different way. “I went to the school of hard knocks for many, many years. All I can say is that with technological advancements, this industry has come a long, long way,” he said. Troester's years of experience finally paid off in June when he was awarded the 2006 “Best Mule Deer” award from the Colorado Taxidermy Association. The prestigious award was an honor to receive because Troester beat out hundreds of taxidermists from around the state. “This was the highest scoring deer there,” he said.”This was the highest scoring deer there,” he said. In the past, Troester has won awards for big horn sheep, elk and other mule deer mounts.In the past, Troester has won awards for big horn sheep, elk and other mule deer mounts. Troester hopes every animal will look as good as possible when it comes in, but does have some sage advice for hunters to ensure a beautiful mount.Troester hopes every animal will look as good as possible when it comes in, but does have some sage advice for hunters to ensure a beautiful mount. “Taking care of it out in the field is just as, if not more, important than what I do here. I can only work with what is brought into me. If an elk is missing hair because it was dragged over rocks, then that's what's going to show up on a mount,” he said.”Taking care of it out in the field is just as, if not more, important than what I do here. I can only work with what is brought into me. If an elk is missing hair because it was dragged over rocks, then that's what's going to show up on a mount,” he said. “This was the highest scoring deer there,” he said. 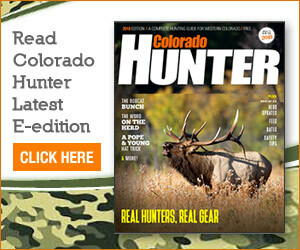 In the past, Troester has won awards for big horn sheep, elk and other mule deer mounts. Troester hopes every animal will look as good as possible when it comes in, but does have some sage advice for hunters to ensure a beautiful mount. “Taking care of it out in the field is just as, if not more, important than what I do here. I can only work with what is brought into me. If an elk is missing hair because it was dragged over rocks, then that’s what’s going to show up on a mount,” he said. The best advice for a hunter is to check out local taxidermists to find the right one for the job before bringing an animal in to them. “I try to provide my clients with the best quality mount with the specimen they bring in,” he said. Handle fish carefully to avoid damaging the fins or scraping off scales. Carefully wrap the fish in a wet towel, place it in a plastic bag and freeze it as soon as possible.Handle fish carefully to avoid damaging the fins or scraping off scales. Carefully wrap the fish in a wet towel, place it in a plastic bag and freeze it as soon as possible. Handle fish carefully to avoid damaging the fins or scraping off scales. Carefully wrap the fish in a wet towel, place it in a plastic bag and freeze it as soon as possible. Handle birds only by their feet. Plug the mouth and any other orifices with cotton to prevent blood and bodily fluids from staining feathers. Keep the feathers flat against the body.Handle birds only by their feet. Plug the mouth and any other orifices with cotton to prevent blood and bodily fluids from staining feathers. Keep the feathers flat against the body. If unable to take the bird to a taxidermist immediately, place it headfirst into a bag and freeze it as soon as possible.If unable to take the bird to a taxidermist immediately, place it headfirst into a bag and freeze it as soon as possible. Handle birds only by their feet. Plug the mouth and any other orifices with cotton to prevent blood and bodily fluids from staining feathers. Keep the feathers flat against the body. If unable to take the bird to a taxidermist immediately, place it headfirst into a bag and freeze it as soon as possible. It's very important not to cut the throat. It's best to let the taxidermist skin the head as soon as possible after the animal is killed. If the hunter must skin the animal himself or herself, Reinier cautions to be extremely careful around the horns, eyes and lips. Always leave more skin and flesh if you're uncertain how much to leave. Once the cape is off, freeze the head in a paper bag, not plastic.It's very important not to cut the throat. It's best to let the taxidermist skin the head as soon as possible after the animal is killed. If the hunter must skin the animal himself or herself, Reinier cautions to be extremely careful around the horns, eyes and lips. Always leave more skin and flesh if you're uncertain how much to leave. Once the cape is off, freeze the head in a paper bag, not plastic. It’s very important not to cut the throat. It’s best to let the taxidermist skin the head as soon as possible after the animal is killed. If the hunter must skin the animal himself or herself, Reinier cautions to be extremely careful around the horns, eyes and lips. Always leave more skin and flesh if you’re uncertain how much to leave. Once the cape is off, freeze the head in a paper bag, not plastic. Hunters should begin the incision six inches from the end of the chin, and cut straight down the underside of the animal to the end of its tail. Split the legs open so the cuts will be symmetrical.Hunters should begin the incision six inches from the end of the chin, and cut straight down the underside of the animal to the end of its tail. Split the legs open so the cuts will be symmetrical. Once the animal is skinned, freeze the hide in a paper bag or other airtight container.Once the animal is skinned, freeze the hide in a paper bag or other airtight container. Hunters should begin the incision six inches from the end of the chin, and cut straight down the underside of the animal to the end of its tail. Split the legs open so the cuts will be symmetrical. Once the animal is skinned, freeze the hide in a paper bag or other airtight container. Horn mounts usually range in cost from $100 to $250, depending on the animal.Horn mounts usually range in cost from $100 to $250, depending on the animal. Shoulder mounts range in price from $125 for badgers to $425 for deer and $675 for elk.Shoulder mounts range in price from $125 for badgers to $425 for deer and $675 for elk. Full mounts or life-size mounts, range in price anywhere from $150 for squirrels and small game to $1,600 for deer, elk, black bear and antelope. Sheep mounts cost $2,200.Full mounts or life-size mounts, range in price anywhere from $150 for squirrels and small game to $1,600 for deer, elk, black bear and antelope. Sheep mounts cost $2,200. Horn mounts usually range in cost from $100 to $250, depending on the animal. Shoulder mounts range in price from $125 for badgers to $425 for deer and $675 for elk. Full mounts or life-size mounts, range in price anywhere from $150 for squirrels and small game to $1,600 for deer, elk, black bear and antelope. Sheep mounts cost $2,200. Reinier said it usually takes six to nine months to get an animal back to a client.